Viasat internet packages available to WWest Communications customers feature a download speed of up to 30 Mbps depending upon the package subscribed to. The upload speed is up to 3 Mbps. Great for staying connected with friends and family via email, social media, video chats, or just browsing the web. Enjoy everything listed under the 25 GB plan. Good for connecting families with multiple computers. All plans require a 24 month commitment. One-time setup fee of $49.99 and $4.99 per month equipment lease apply. Speeds are “up to” and not guaranteed. Actual speeds will vary. If you live in the green areas below, you have access to our Viasat internet service. Call us today at 1-866-484-8686 for more information. © 2014 Wahkiakum West. All rights reserved. 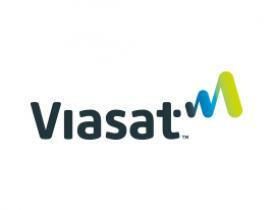 Wahkiakum West is an authorized Dealer for Viasat. Viasat is a service mark of ViaSat, Inc. Some content may be the copyright of ViaSat, Inc.